The house churches in the past preached mainly on the way of the cross and endured persecution. They were filled with the Holy Spirit and expanded gospel mission with a vision. The city churches these days are easily influenced by the world to compromise on truth and many pursue prosperity, fame and success in this world. They still need your prayers! We hereby express our heartfelt gratitude towards our brothers and sisters’ support to our ministry’s Chinese mission, specially to those from oversea churches. Our ministry could not have accomplished our currently standing without your burden for the Chinese churches and your prayer and financially support. Please continue to pray for our ministry to China. In June, I made a mission trip to Malaysia and Taiwan for two weeks. We held meetings at 5 places and minister to more than 1600 people. In Malaysia, the ministry was mainly at two large Assembly of God churches. In Taiwan, I was invited by AOG president Pastor Yan to minister at the newly founded Nations Worship Prayer Center. This is, after nearly a decade, the first time to return to Taiwan for ministry. Currently we have no dedicated coworker in Taiwan in recent years. After arriving Kuala Lumpur in Malaysia, coworkers from Seremban picked me up and drove me directly to Calvary Life Church in Malacca. At night meeting, my preaching was translated into English but not very effective. Next night at their branch church in the nearby town of TangKak, people paid more attention to my preaching. Later almost everyone received prayers and fell down quietly. Next morning, I went back to Kuala Lumpur and stayed at Elder Wang’s home. At noon, Pastor Huang invited me to a wedding banquet. That night at Glad Tidings Church in Petaling Jaya, I sang a song before the meeting and felt the presence of God. Later I preached about the Holy Spirit and gave an altar call. Many came forth on their knees praying in repentance. I laid hands on them and they fell down quietly. Some did not want to leave until the end. There were two morning services on Sunday, and the first was already filled with people. During worship, I was filled with the Holy Spirit and fell down in weeping. 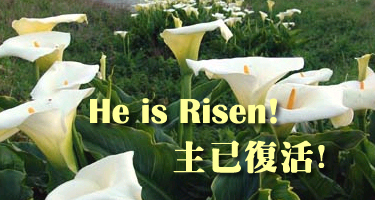 Later Pastor Huang translated my preaching into Cantonese. I first laid hands on those who wanted to receive the Holy Spirit and they began to speak in tongues. I then prayed for the rest and they fell down quietly. No translation was required for the second service but I still ministered in prayers until the afternoon. Next evening, we borrowed a small classroom for the reunion meeting of young adult disciples. As we worshiped, we felt the presence of God. We shared our current situation. I then shared a short message, and lastly prayed for them. Some were weeping, and then were holy laughing. I also laid hands to bless their children. After a day of rest, I took a fight to Taiwan and my old coworkers came to pick me up. We went to Taoyuan for a meal and I stayed at their home in the church building. I spent first two days for some personal business. On Saturday morning, I ministered at Nations Worship Center for a training meeting for the intercessors. People rushed forth in response to the altar call after preaching. They prayed for the revival in Taiwan and many were in weeping. Later I laid hands on them and they all fell down quietly. Next afternoon on Sunday, it was a special healing meeting with many came from various churches. The indigenous people led passionate praise and worship with many dancing before the Lord. After preaching, I invited people coming forward to seek the Holy Spirit and spoke in tongues. I then laid hands on the youth and prayed for healings of the sick. Lastly, I anointed the rest and the presence of God manifested. Many fell down quietly and some were weeping. Early July, I made a mission trip to Heilongjiang, Jilin and Liaoning provinces in northeast China for two weeks. We held revival meetings in 13 places, ministered to over 2,000 people. In this trip, because of the new high-speed railroad, I enjoyed the great convenience, traveling from major cities to nearby areas. My flight arrived at a city in Heilongjiang near midnight. The next morning we held the meeting at a house church. After preaching, I gave an alter call and people rushed to the front on their knees crying out for repentance. Later I taught a new song and anointed coworkers. After preaching in the afternoon, I prayed for the sick and deliverance. Afterward, I took the train to another city. The next morning, we held coworkers meeting in the suburbs. After my preaching, they were touched in tears. I laid hands on them and they fell in weeping strongly. In the afternoon, they were filled with joy. When I prayed for the sick, a blind girl was able to see. I then went to another city. The next morning, we held coworkers meeting in the countryside. After preaching, I laid hands on them and they fell down in weeping. In the afternoon, I anointed them with joy in groups. I took a bus to return to a city, and then went to a nearby village. The next morning, we met at the new house church building. After preaching, I laid hands on them and they fell in weeping. In the afternoon I anointed them with joy. I took the high-speed train next day to a city in Liaoning, and stayed at a hotel. The next afternoon, we went to another city for coworkers meeting. I laid hands on them after preaching and many fell in weeping. After preaching in the evening, I prayed for the sick. The next morning we went to the coworkers meeting in a nearby village. After preaching, I prayed for them and many were weeping. When waiting for the Holy Spirit in the afternoon, they fell from front to back. I then anointed them with joy in groups. The next morning, we held a gospel meeting inside the hotel. I preached and led nearly 30 people to Christ. Later I laid hands on them and they fell down quietly. I then prayed for the rest and the presence of God manifested. In the afternoon, we met at house church. After preaching, I laid hands on all who responded to altar call and they fell down in weeping. The next morning, we had a large meeting in the nearby countryside. The worship teams from various churches first performed dancing. I then preached and prayed for everyone on the platform. In the afternoon, I laid hands on them for healing. Lastly, some were filled with great joy. The next morning, I took a high-speed train to a city in Jilin. We met in a house church and it was packed. After preaching, I laid hands on the people and they fell in weeping. Spirit of joy came in the afternoon and they were filled with holy laughter. Lastly I laid hands on young students and they were crying loudly on fire of the Holy Spirit. The next evening, we had a meeting with people from different churches. After preaching, I laid hands on them in groups and they fell down quietly. The next morning, I went to a coworkers meeting of a house church. After preaching, I laid hands on them and they fell down quietly. In the afternoon, they were filled with great joy in laughing uncontrollably. In April, I made a mission trip to Jiangsu and Shangdong provinces in China for three weeks. We held revival meetings in 19 places and ministered to over 2,800 people. Most of time I ministered during the day and then travelled to the next place for dinner and rest. We faced some troubles at the beginning of this trip. The police came to interrogate me and released me shortly after. So there was no schedule delay and we were still able to finish the itinerary. Later I also heard that Pastor Dennis Balcomb was arrested in Henan. Please continue to pray for China and all the foreign missionaries there! My flight arrived at a city in Jiangsu in the first evening. We met the next morning at a home in the suburbs with coworkers from Three-Self church. They were very hungry for the Holy Spirit. After preaching, I laid hands on them and many were moved to tears. In the afternoon, many were filled with holy laughter. Lastly, I ministered in healings and anointed some towels. In the next morning, we went to minister at a house church in another city and it was packed with people. Someone got up and leave during the meeting who most likely reported to the police. Just as I finished preaching, the police walked in. They interrogated me in a room for a long time and released me after noon. I left at once to the previous place for some rest. In the evening, many believers came for healings. I preached a short message and laid hands on them in groups as they fell down quietly. Many experienced the anointing for the first time. In the next afternoon, we went to a newly built Three-Self church. I preached a short message and ministered in healings. Some believers did not come for prayers and we left at once. After arriving at the next city, we stayed at a hotel. The next morning, we met at a house church in the city with many college students. I prayed for them after preaching and many fell in weeping. In the afternoon, many were on fire of the Holy Spirit and in great laughter. Afterwards, we went to a remote town by van, and met at a house church next morning. The music band led the worship and then I took over to enter the presence of God. After preaching, I prayed for the people and they fell down quietly. I laid hands to bless all the children. In the next morning, we went to another town to minister at a Three-Self church. Many believers from nearby areas filled the sanctuary. The same band led the worship with loud speakers. The presence of God manifested and many were touched in tears. After preaching, I laid hands on the people on the platform and mostly fell down quietly. In the afternoon, I anointed all the coworkers with joy and they fell down in holy laughter. Lastly, I anointed the band and they were filled with the Holy Spirit. Afterward, we went to another city in Shangdong and met in a large factory the next morning. This is a united meeting with many believers from house churches and some even from Three-Self churches. After preaching, I laid hands on everyone and they all fell down quietly. In the afternoon, the Spirit of joy came. I handpicked some and they fell in great laughter. I then anointed everyone with joy and lastly anointed all the towels. A brother recently converted from Muslim was very hungry for God and greatly touched by the Holy Spirit. Afterwards, we went to another city and met in a nearby village next morning. The house was packed with coworkers and other believers seated in the courtyard. After preaching, I laid hands on them in groups as they fell in weeping. In the afternoon, I prayed for healings and then anointed the coworkers, as they fell in laughter. The Holy Spirit moved mightily. We then went to another city for a coworker meeting next morning. After preaching, I laid hands on them as many wept and laughed. In the afternoon, they were greatly filled with the Holy Spirit. Later we went to the host family at another town. The house church leader has listened to our shortwave radio program “Revival Sound” continuously for 10 years. She boldly preached the gospel and established several house churches. I was greatly encouraged by this testimony. In the next morning, we met at a remote village and it was packed. I laid hands on people after preaching and many fell in tears. In the afternoon, I anointed them with joy and they fell in great laughter. I arrived at another city afterwards and met with the brother Don. Years ago I laid hands on him and he received the vision for Tibet mission. Since then he went to Tibet to preach the gospel and was persecuted heavily. In the next morning, we met in an office building and it was packed with coworkers from various house churches. After preaching, I prayed for them and many were moved to tears. In the afternoon, I anointed all of them with joy. Afterwards, I took a bus to the next city and stayed at the host family. In the next morning, we met at a new facility of the church and it was packed with people. After preaching, I took a long time to lay hands on everyone and most fell down quietly. I led the worship in the afternoon. The presence of God manifested and many were moved to tears. After preaching, I handpicked some out as they fell in holy laughter. I then anointed all with joy. In the next morning, I arrived at another village to minister at house church. After preaching, I prayed for people on the platform and they fell down quietly. In the afternoon, I prayed for them to receive the Holy Spirit. Afterwards, I went to another city and met in a large building at the village the next morning. As I led the worship, the presence of God manifested. After preaching, I laid hand on people and many fell in weeping. In the afternoon, I took a long time to anoint all with joy on the platform. Lastly I prayed for the youth team and they were on the fire of the Holy Spirit. I went to another city and had a meeting for full-time coworkers in the next afternoon. After preaching, I laid hands on them. I was on the train to the next city and met at a village the next morning. After preaching, I laid hands on them and they all fell in weeping strongly. The Holy Spirit moved mightily. The next day, we went to another city to minister at a house meeting. After preaching, I prayed for people as they fell down quietly. I then took a flight to a major city. In the evening, we met at a house churn in a town center and it was packed with people. The youth team led the worship. After preaching, I laid hands first on young students and then prayed for healings as they fell down quietly. In February, I made a mission trip to Jiangxi, Hunan, Hubei, Anhui, and Jiangsu provinces in China for three weeks. We held revival meetings in 18 places and ministered to over 3,200 people. As usual, we spent only one day at each place, with repentance and healing in the morning and filling with the Holy Spirit in the afternoon. We then traveled to the next place in the evening and stayed at the hotel or host family. Besides coworkers, many believers with the sick also came to the meetings and many healing miracles took place. There are several incidents but we were able to escape safely. Thank God for His protection over the past 20 years as we continue to minister to so many house churches all over China. After I arrived at an airport in Jiangxi at night, I was taken to another city by car. It was very foggy on the way and we finally arrived after midnight. In the morning, the youth band led a passionate praise and worship. After preaching, I prayed for healings and several disabled were healed. In the afternoon, I laid hands on the coworkers and they filled with joy. Later, I took a train to another city. The next day, we met in an office building with many college students. When I prayed for them, many fell in tears. In the afternoon, the Spirit of joy came and many fell in great laughter. I then took a bus to another city. The next morning, we met in the countryside and the house packed with people in every room. After preaching, I laid hands first on the coworkers and they fell in tears. Later I had to pray for all of them in groups. In the afternoon, many were filled with joy in holy laugher. Lastly, I anointed all their towels for healings. A brother came to take me by his car to a city in Hunan. I stayed at a hotel, which located next to the church. In the next morning, people packed the main sanctuary. I preached and laid hands on them in groups. After preaching in the afternoon, I led them in dancing and praising. When the anointing came, they fell from the front to the back and filled with great joy. Lastly I prayed for them according to various regions. Later we drove to a remote town, and ministered at a nearby house church the next morning, with believers packed the meeting hall. After preaching, I laid hands on them in groups and many fell in tears. In the afternoon, the Spirit of joy came and many fell in holy laughter. Lastly, I prayed for all the sick. We then drove through several counties and arrived at another city where I had visited more than ten years ago. The next morning, we met at a house church with mostly old people. After preaching, they rushed forward to receive prayers. I then laid hands on them in groups and they fell quietly. I departed immediately after we realized a stranger was there. In the afternoon, we met at another house church in the suburb and the place was packed. After preaching, I prayed for them in groups and they all fell quietly. Lastly, I anointed their coworkers with joy. As I waited for my ride from Hubei at the train station, my driver was stopped by traffic polices asking for bribe. He finally settled the incident with some money but I was greatly saddened by such corruption. Despite the delay, we eventually arrived at a city in Hubei. In the morning, we met at a Three-Self church with mostly the elderly. After preaching, I laid hands on them on the platform. They fell down quietly and afterward many testified their healings. One sister with crutches was able to walk. After preaching in the afternoon, they rushed forward in repentance on their knees. They then received the anointing and fell down quietly. My ride to the next city came to take me. It has been over a decade since my last visit there. In the next morning, we met at the church packed with people. After preaching, I prayed for them on the platform. It was chaotic because they all rushed forward. In the afternoon, I first handpicked several out and they all fell in great laughter. Lastly, I laid hands on the leaders and prophesied over them, as they wept strongly. I then took a bus to the next city to minister at a city church’s Sunday service next morning. The meeting hall held several hundred people with many college students. After strong preaching, many wept aloud at the altar call and rushed forward to repent on their knees. I then laid hands on them and they fell all over the place. In the afternoon, I preached again and many were on their knees dedicated their lives in tears. Later, I anointed them with joy. After service, I also ministered to their coworkers in a classroom. I prophesied over some of them and they fell in weeping. I then went to a nearby town and ministered at a house church the next day. After preaching, I laid hands on them in groups as they fell quietly and then were filled with joy. I took the train to the next city in Anhui, and then arrived at a Three-Self church in a town by car. Not many people showed up the next morning. After preaching, I also prayed for each of them. Later, I took the train to the next city. The next morning, the meeting hall was packed with the youth band leading worship. After preaching, I prayed for people and they fell down in tears. More showed up in the afternoon and crowded the courtyard. I preached and led them in dancing and praising. Later they fell from the front to the back, filled with the Holy Spirit. We noticed there is a stranger looking around so I left immediately by the backdoor. I ministered at a home meeting in the evening with mostly the elderly who came for healings. The next morning, we met a house church in the suburb and it was packed. After preaching, I prayed for them in groups and many fell in tears. In the afternoon, I anointed them with joy and many fell in laughter. After arrived at the next city, we went to the hospital to pray for a coworker in coma. The next morning, the church was packed. After preaching, they rushed forward to receive prayers. In the afternoon, they received the anointing as they fell quietly. I then went to a city in Jiangsu and ministered at the church in the afternoon. After preaching, I laid hands on the people and many sisters fell in tears. In the evening, the place was packed. After high praises, I preached under anointing. I then went to another city and we met in a factory next day in the countryside with believers from the Three-Self churches. I preached and laid hands on them in groups as they fell quietly. In the afternoon, the Spirit of joy came and many were in laughter. Lastly, I laid hands on the coworkers and they fell in presence of God for a long time. 2013/12 China Early December 2013, I ministered in southeast Chinese provinces Fujian, Zhejiang, and Hainan for two weeks. We met in 9 locations, serving nearly 1,500 people. Coastal cities enjoyed earlier economic development, but it is difficult for them to accept the gospel. In recent years, migrant workers moved into the cities and house church missionaries also followed. The work of the Gospel is no longer restricted among the peasants but extended to businessmen and government officials as well. 2013/08 Europe In mid-August, I made a three-week mission trip to Europe. I ministered in France, Italy, and Spain. We had seven meetings and ministered to about eight hundred people. Despite oppositions by local coworkers and the sad news of Brother Miou's passing, I had some great opportunities of ministry there. In mid-September, I made a short mission trip to Mexico City for several days. I was invited to speak at New Life Christian Church's retreat as the main speaker. In December, I made a mission trip to Zhejiang, Fujian, Guangdong, and Hainan provinces in China for two weeks. I ministered to over 1,900 people in 11 places. These places are in the coastal area with more religious liberty compared to the inland area. The transportation is more convenient. However, house churches now are influenced by oversea churches and no longer have the strong revival as in the past. Some believers of Three-Self churches have more hunger for the Holy Spirit. In November, I took a mission trip to Perth and Sydney in Australia for two weekends. I ministered to about 260 people in 3 places. In October, I made a mission trip to Inner Mongolia, Ningxia, Gansu, and Shaanxi in China for about two weeks. I ministered to over 1400 people in 13 places. The recent growth of house churches in northwest China encouraged me greatly. Most meeting places were small so not many people could attend. I travelled alone the latter part of the trip, mainly by night trains. Unfortunately I was arrested again by the local police near the end, but was released on the same day. In September, I took a mission trip to Vancouver, Canada for two weekends. I ministered to over 1,000 people at 5 places. 2012/8 Italy In August, I made a mission trip to Italy, Europe for two weeks. I ministered to over 500 people in 4 places, mainly at Revival Churches in Italy. 2012/7 China In July, I made a mission trip to Zhejiang, Heilongjiang, Liaoning, and Shandong in China for two weeks. We held meetings in 13 places and ministered to over 2,600 people. 2012/6 Malaysia In June, I made a mission trip to Malaysia for two weeks. I ministered to over 1,600 people in 5 places. 2012/5 Georgia, U.S.A. In May, I went to Atlanta, Georgia to minister at different churches. 2012/3 California, U.S.A. In March, I travelled to southern California for ministry about one week. 2012/2 China In February, I was on a two-week mission trip to Henan and Hubei in Central China. We held meeting in 13 places and ministered to nearly 3,000 people. Most places were at house churches in Henan. Henan is the largest province in China. Those house churches are experiencing great revival, large number of conversions, as well as frequent persecution. It has been awhile since my last visit there, but to my surprise, so many people showed up for the meetings. 2012/1 Honolulu, Hawaii In early January, I was invited by New Life International Church for a one-week trip to Honolulu on Oahu, Hawaii. It was my first time visiting Hawaii. 2011/12 Australia Early December, I went to Sydney, Australia for a week. I was invited by Cross International Church of Australia to speak at their revival meeting. 2011/11 China In middle of November, I made a two-week mission trip to Guangdong, Guangxi, and Hainan provinces in southern China. We held meetings in 10 places and ministered to over 1,100 people. While house churches are still more traditional, the idol worship is prominent in this area. The work of the Holy Spirit is much needed to bring revival and evangelism. 2011/10 China In October, I made a two-week mission trip to Xinjiang, Shaanxi, Henan, Shanxi provinces in Northwest China. We held meetings in 16 places and ministered to over 2,600 people. The focus of this trip was in the cities. Despite the limitation in meeting facilities, the Holy Spirit moved mightily among the city dwellers, especially the businessmen. They face all kinds of pressure in life and are in need of deliverance. 2011/9 Canada In early September, I made a mission trip to Vancouver, Canada for more than one week. We held meetings in 4 places and ministered to over 700 people. 2011/8 Spain/Italy In August, I made a two-week mission trip to Spain and Italy. We held meetings at 3 places and ministered to over 300 people. 2011/7 China In early July, I made a two-week mission trip to Zhejiang, Heilongjiang, Jilin, Liaoning, and Shandong provinces in China. We held meetings at 12 places and ministered to over 2,700 people. 2011/6 Malaysia In June, I made a three-week mission trip to Malaysia and Australia. We held meetings at 7 places, ministered to nearly 2,000 people, and led more than a dozen to Jesus. 2011/4 China In April, I made a three-week mission trip to Hubei, Anhui, and Jiangsu provinces in China. We held meetings at 14 places, ministered to over 2,700 people, and led 40 people to the Lord. We ministered mainly in the cities with several house churches still in the villages. 2011/2 China In early February, I made a three-week mission trip to Jiangsu, Anhui, and Shandong provinces in China. We held meetings at 21 places and ministered to over 5,500 people. As usual, I traveled daily with one morning and one afternoon meeting each day. 2010/12 China In early December, I made a two-week mission trip to Zhejiang, Fujian, Guangdong, and Hainan provinces in China. We held meetings at 16 places and ministered to nearly 3,000 people. 2010/10 China In October, I made a two-week mission trip to Sichuan and Guangxi provinces in China. Nearly total 900 people were ministered to at 10 places. 2010/10 Canada In October, I had a one-week mission trip to Vancouver, Canada. We met at 5 places, ministered to over 1,000 people, and led nearly 20 to the Lord. 2010/8 Europe In August, I made a two-week mission trip to Spain and Italy, holding meetings at 4 places, and ministered to over 500 people. 2010/7 North America In July, I ministered at two evening meetings for the gospel and healing crusade at River of Life Christian Church in San Jose, California. 2010/7 China In July, I made a two-week mission trip to Heilongjiang, Jilin, Liaoning and Shandong in Northeastern China. We held meeting in 8 places and ministered to over 1,700 people. 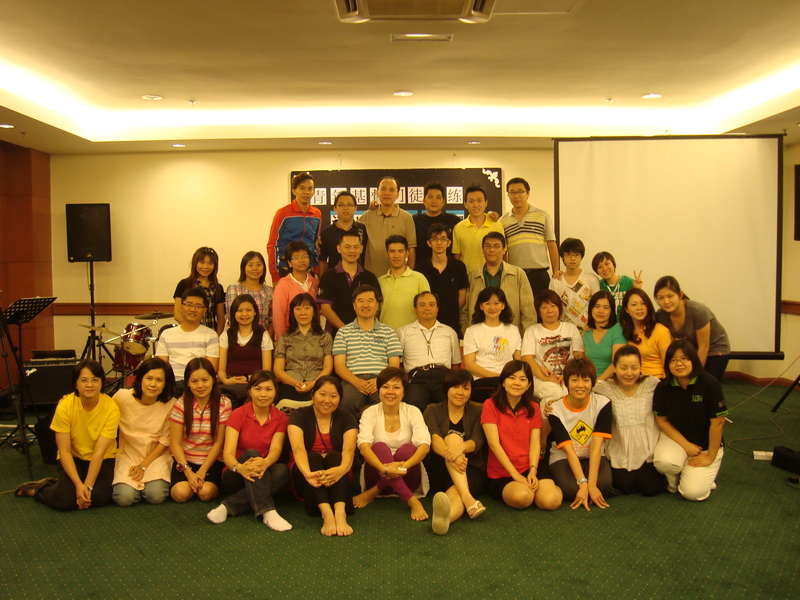 2010/6 Malaysia In early June, I made a 2-week mission trip to Malaysia, holding meeting in 6 places and ministered to 2,400 people. 2010/5 North America In May, I ministered at several churches in the Los Angeles area. In the end of May, I ministered at the Sunday service of Bread of Life church in Atlanta, Georgia. 2010/4 China In April, I made a two-week mission trip to Jiangsu, Shandong, Anhui and Henan provinces in central China. Meetings were held in 17 places with over 3,300 people ministered and nearly 50 converts. As usual, I ministered during the day and traveled at night on a daily basis. Most places were in the poor countryside and I had to minister under very dusty environment. It is sad that although the cities have experienced incredible progress, not much has changed in the countryside. Modernization not only impacts the environment, it also changes the demographics in the country villages with mainly elderly people and children left. As I prayed for the sick, many healing miracles happened. God has not forgotten His people. 2010/2 China In the end of February, I made a two-week mission trip to Jiangxi, Hunan, and Guangdong provinces in southern China, held meetings in 15 places, and ministered to more than 1,800 people. As usual, we ministered during the day and traveled at night on a daily basis. But sometimes we had to hold evening meetings at several large cities. The southern cities are more developed so that I could stay at hotels and be transported by private cars. The spring weather was very unpredictable during this trip, as it cooled down with rain. I caught a cold one night because the heater went out, but it did not impact my ministry. 2009/12 China At the end of November, I made a three-week mission trip to Zhejiang, Fujian, Hainan and Jiangsu provinces in Southeastern China. We met in 20 places and ministered to nearly 3,400 people. We stayed only one day at each place, and sometimes held up to 3 meetings per day. Despite the packed itinerary, we were able to make it due to many improvements in China's transportation system in the recent years. 2009/10 China In mid-October, I made a three-week mission trip to Inner Mongolia, Ningxia, Qinghai, Gansu, Shaanxi, and Henan Provinces in Northeastern China, held meetings in 20 places, and ministered to nearly 3,200 people. I ministered only one day in each place and traveled at night accompanied by a coworker, often by overnight train. I led people to repent in the morning and be filled with the Holy Spirit in the afternoon. Towards the end of the meeting, I’d pray for the healing of the sick. After the meetings, we often had dinner with the coworkers. 2009/08 Europe In Early August, I made a two-week mission trip to France, Spain and Italy. We met in 5 places and ministered to over 700 people, mainly at the Revival churches. 2009/06 China Early in July, I made a two-week mission trip to Zhejiang and Yunnan, China, held meetings in 7 places, and ministered to more than 1,300 people. This trip was in the summer season, I specially ministered to young students in Zhejiang and several house churches where I was not able to visit last time in Yunnan. 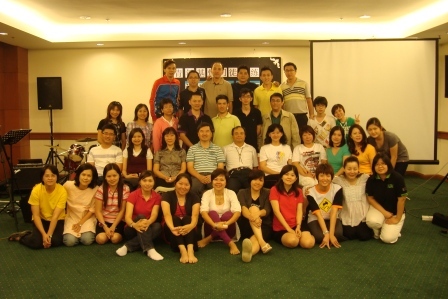 2009/06 Malaysia, Brunei From the end of May, I made a three-week mission trip to Malaysia and Brunei, held meetings in 10 places, ministered to more than 2,200 people, and led over 60 people to the Lord. Despite the threat of the H1N1 flu, God protected us as we ministered from places to places. In April, I made a two-week mission trip to Northeastern China, accompanied by a young disciple from Malaysia. I ministered to over 2,700 people at 15 place'sthroughout Heilongjiang, Jilin, Liaoning and Shandong provinces. 2009/3 China In February, I was on a mission trip to Southwestern China for two weeks, held meetings at 15 places in Hunan, Hubei, Sichuan, and Yunnan Provinces, ministered to nearly 1,300 people, and led 5 souls to the Lord. 2008/12 Malaysia/Australia In mid-November, I made a mission trip to Malaysia and Australia for three weeks and ministered to nearly 4,000 people at 11 places, with about 100 accepting Jesus. I postponed this trip because of my newborn daughter and my mother-in-law has been helping with childcare, therefore now I could resume oversea mission trips. This trip also is my first time ministering in Australia, the last of the 5 continents I ever visited. 2008/10 China In October, I made a mission trip to Anhui, Jiangsu, and Shandong provinces in China for three weeks. I ministered to nearly 3,000 people at 17 places and led over 100 to the Lord. Although I did not minister in China for the six months period when the Olympics were taking place, I still kept close contact with the house church leaders. The vision of this ministry is to spread the revival fire throughout China; to see that China shall be saved by the power of the cross and the blood of Jesus Christ for the glory of God. God is going to raise up people in China to be part of the end time army to fulfill the Great Commission before the Lord Jesus returns.